Citing sources familiar with the hiring spree and LinkedIn data, CNBC reports Apple hired at least 46 people from Tesla in 2018. Some workers were poached, while others were laid off from the carmaker prior to joining the team at Cupertino. Apple is ostensibly building out its Project Titan team with hires including former Tesla Autopilot, quality assurance, powertrain, mechanical design and firmware engineers, but the company is also adding manufacturing experts to its ranks. According to a current Tesla employee who kept in touch with former colleagues, Apple appears to be placing renewed emphasis on manufacturing processes and equipment, the report said. The company outsources production to firms like Foxconn, but still offers input on new processes and techniques, as well as other areas of manufacture. For example, Apple holds numerous patents relating to hardware manufacturing methods like "friction-stir welding," a welding process introduced with 2012's iMac revamp. Other recent Tesla converts specialize in software, display, optics and battery technology, the report said, areas that apply to Apple's product lineup at large. One Tesla engineer said former Tesla workers were attracted by better compensation, Apple leadership and the tech giant's products. People familiar with the matter estimate technicians, software and manufacturing engineers get paid about one-and-a-half times more at Apple than they do at Tesla. Further, one former Tesla employee suggested Apple stock options are more attractive than they are at Tesla. 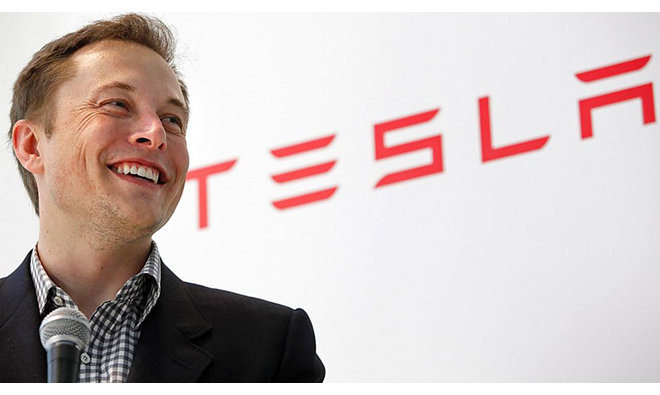 The electric carmaker has yet to turn a profit, though CEO Elon Musk expects that to change sometime this year. That lines up with a statement Tesla gave the publication about Apple's recent hires. We wish them well. Tesla is the hard path. We have 100 times less money than Apple, so of course they can afford to pay more. We are in extremely difficult battles against entrenched auto companies that make 100 times more cars than we did last year, so of course this is very hard work. We don't even have money for advertising or endorsements or discounts, so must survive on the quality of our products alone. Nonetheless, we believe in our mission and that it is worth the sacrifice of time and the never ending barrage of negativity by those who wish us ill. So it goes. The world must move to sustainable energy and it must do so now. Employees told the publication more employees were voluntarily leaving Tesla than in years past. The carmaker refutes assertions that people are departing for Apple at a higher than normal rate. Countering, Tesla told CNBC that voluntary attrition has decreased by one-third over the last twelve months, saying it also continues to hire employees from Apple and other companies. The story was different just three years ago. Given inherent overlap in areas of development, Apple and Tesla constantly vie for each other's engineers. Musk in 2015 said attrition rates swing in Tesla's favor by a ratio of five to one, hinting that those who left the company were bad actors. At the time, Apple was reportedly offering some Tesla employees $250,000 signing bonuses and 60 percent raises to jump ship. Whether those incentives are still in effect is unknown. Musk, who once called Apple the "Tesla graveyard," is also the cause of recent instability in his company's stock. Rants on social media, public takedowns during earnings calls and an August tweet about taking Tesla private have all contributed to a 15 percent dip in share prices. Today's report comes on the heels of news that former Mac hardware engineer Doug Field returned to Apple after a nearly five-year stint as Tesla's SVP of Engineering. Field is reportedly working on Project Titan under Bob Mansfield, who previously served as Apple's SVP of hardware engineering.